Looking to give someone the gift of photography? Gift certificates can be used toward studio time, prints, or albums. 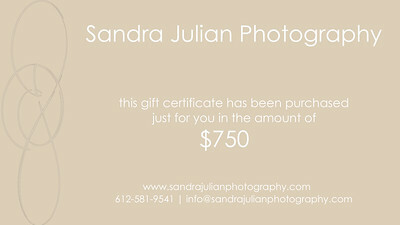 Please connect to purchase and I will create your customized gift certificate just for you.